Welcome to ManicurePedicure.com. We provide customers and nail technicians alike with everything you need for hands, feet, nails, and skin. We carry thousands of items, and add new ones every week. We often receive complimentary comments from delighted customers who looked high and low to find the discontinued OPI nail polish that was an old favorite, then finally found it at ManicurePedicure.com. Do you have an old favorite color that you just can’t find? 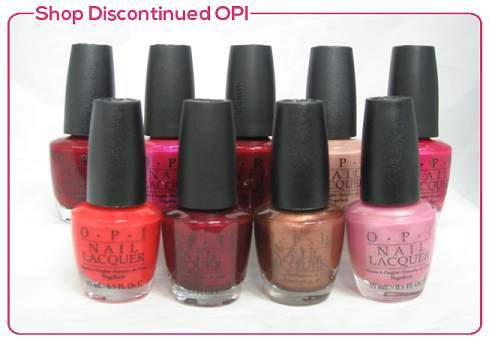 Take a gander through our Discontinued OPI section. Maybe you’ll find one you once loved! We are proud to carry the full line of NuGenesis Nails Dipping Powder System. If you aren’t familiar with dip powder, then you must read our article about dipping powders that explains why you should ask your nail technician about it. After reading the article, ask your technician to carry the best dipping powder products on the market – NuGenesis! We have found that many professionals shop our site for polishes or nail care products. For our site viewers who professionals, please visit our friends at 866seminars.com for training for you or anyone in your workplace.